It’s so easy to use that just about anyone can start tweeting. And nowadays, Twitter is the primary place where a lot of the big conversations and discussions happen. Twitter is conducive to argument and debate, including firing political potshots across tens of thousands of miles.So it’s no surprise that world leaders are using it to criticise policy around the world or to express their thoughts on a world event. But no one has quite divided opinion on whether political leaders should have access to Twitter more than Donald J Trump. It’s all the more petty, because arguably the most powerful man in the world often reacts like a 13-year-old on a message board. So it’s no surprise that people have been urging Twitter to ban Trump’s account for violating the platform’s content policies and rules. Some protestors even projected the message “@jack is #complicit” onto the walls of Twitter’s headquarters. Note: Jack, if you’re unaware, refers to Jack Dorsey, founder and CEO of Twitter. But, Twitter has generally been silent on the topic of banning the President until date. The company has today published a blog post clarifying the reason why it hasn’t banned Trump and how it doesn’t plan to do so in the near future as well. It, however, didn’t explicitly point out the U.S President and disguised its statement under the “World Leaders on Twitter” title for the blog post. Blocking a world leader from Twitter or removing their controversial Tweets would hide important information people should be able to see and debate. Twitter reiterated that dialogue between leaders and the people is an important need. It aims to become that very medium but also restated that each user should follow the policies and guidelines enforced by them. This is not the first time Trump has made such outlandish and vile statements. He has been doing so, ever since he came into power. Many believe he’s misusing his position and making unsubstantiated claims or threat, ranging from increasing nuclear tension to online harassment of individuals to posting memes of him taking down CNN. On closer examination, Twitter’s response seems underwhelming? 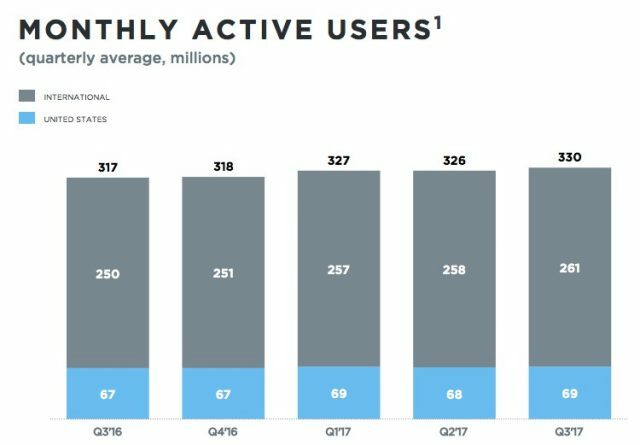 U.S President Trump’s action has surely driven a lot of traffic and users to Twitter in the previous year, thus, providing a boost to the growth of the platform. Even critics have voiced a similar outlook on Twitter’s decision to keep Trump’s account up and running for so long. And if Twitter really believes that world leaders must be in touch with the people on important issues, then they must also take responsibility for allowing world leaders a free reign in everything they say, but holding ordinary ‘people’ or other users to other policy standards. No one person’s account drives Twitter’s growth or influences these decisions. We work hard to remain unbiased with the public interest in mind. The company says it will keep a close check on the activity of world leaders, while still leaving enough wiggle room for possible actions that could be taken against those who don’t please their keen (maybe, a little overlooking) eye in the future. So, does this sound like such an apt justification on Twitter’s part? Let us know in the comments down below.